Ruby Port is the freshest and least complex of fortified wines, savored for its deep red color and sweet flavors of dark fruits. Rubies are the least expensive and most commonly produced port out there. But don’t let its seemingly run-of-the-mill status fool you; this libation is an exquisite and attainable mark of a distinguished host. Ruby Port is produced from a blend of red grapes, fortified and aged no more than three years to maintain freshness and captivating color. 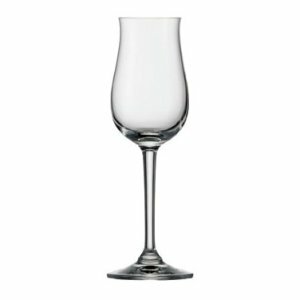 Ruby port is best enjoyed as an aperitif or dessert wine. After fermentation, ruby port is stored in concrete or stainless steel tanks to prevent oxidation. Storage usually lasts less than three years, thus preserving its fruity color and bright, full-bodied flavor. The majority of rubies are blended from various grape varieties and vintages. Single varieties and vintages are called colheita, and represent a uniquely delicious port. As a general rule, rubies don’t get better with age, with the exception of some excellent rubies aged in wood barrels four to six years. In the world of port wine, the basic port is ruby. Rubies are designed to be drank right away (note the characteristic liquor-style stopper) and don’t get noticeably better with age. So what’s the difference between a fresh ruby port and older barrel aged tawny port? This is the essential starting question in the quest for the perfect port for your gathering. “Young” or “fresh” always refers to ruby port. 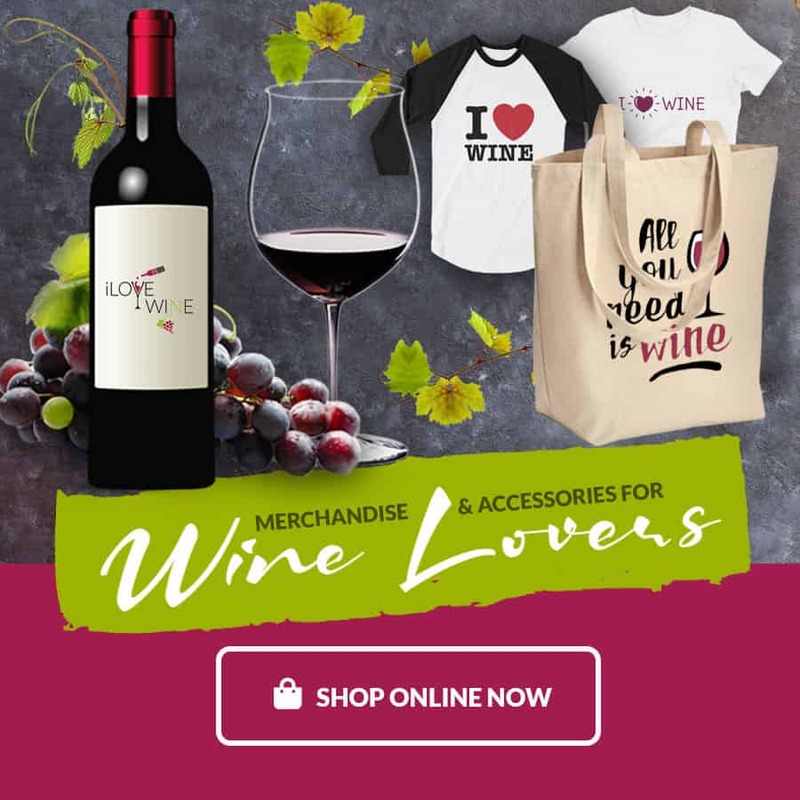 Rubies are some of the darkest, boldest red wines out there due to their concentrations of tannin and other pigmentation. 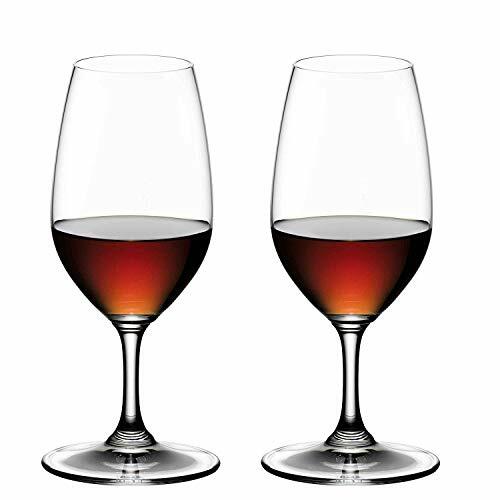 Tawny port, on the other hand, loses much of its pigmentation in the aging process, creating a smoother, caramel-like finish with lighter coloring. Tawny refers to old ports aged in wood. 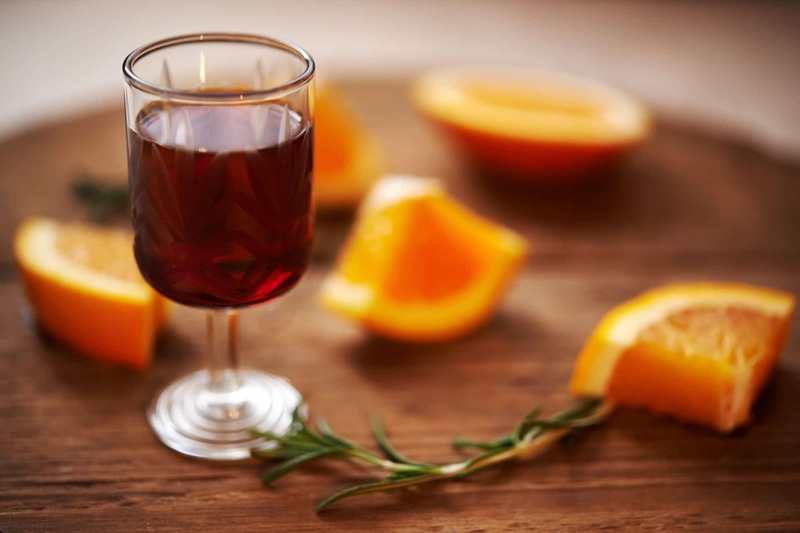 Tawny ports are typically pale yet smooth. Ruby ports are aged far fewer years than tawny ports, generally no more than three years. Considered run-of-the-mill, rubies are still an exceptionally popular and delicious aperitif or dessert wine. Ruby ports are broadly characterized as basic ports. But special rubies designated as Reserve are rubies aged four to six years. Aged any longer, and rubies would lose their characteristic fresh, fruity flavor. Ports in general are extremely varied. Due to the wildly diverse meteorological and topographic conditions of the Douro Valley, each vineyard produces a different tasting grape, with neighboring vineyards with similar varieties resulting in vastly different flavor profiles. This makes port drinking an exciting adventure. The saying “you tried one, you tried them all” applied to port never. 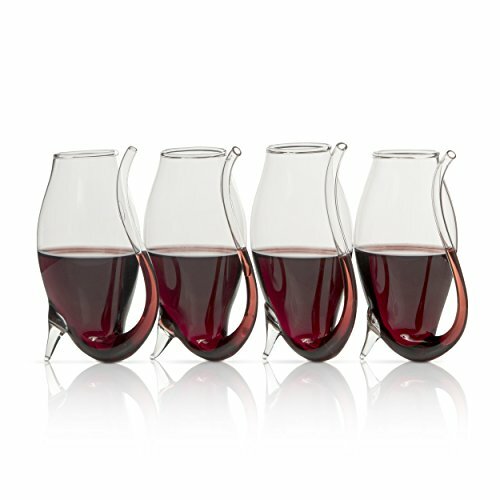 Beautiful Wine Or Port Sipper For the Everyday Or Connoisseur. Ruby port is extremely fragrant due to its high alcohol content (usually around 19%). It stimulates the olfactory senses with notes of dried and steamed dark fruits (specifically blackberry and raspberry), chocolate, and cinnamon, with underlying finishes of hossin sauce and spice. The former imbues a delectably savory finish to ruby’s flavor profile. Ruby port is best served slightly cool (60 degrees F, or 16 degrees C). Crusted: a blend of two or more harvest years of Port designed to be drank immediately. Single Quinta: a unique vintage of Port hailing from a single year (vintage) and vineyard. Flavor intensities and types will vary by vineyard, so be sure to read each producer’s tasting notes. Common port guarantee labels. Retrieved from fortheloveofport.com. 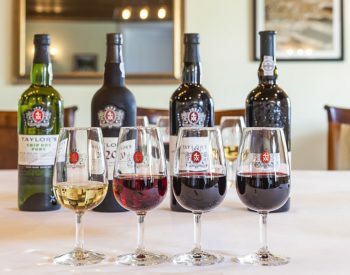 Many port-style wines are produced outside of Portugal. Their origins are clearly marked on the label. These are usually cheaper than the real thing, yet respect many of the traditions of Douro ports. 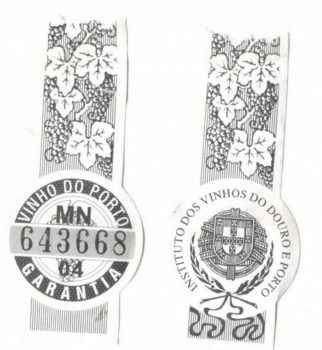 True ports are marked with authenticating labels that read “VINHO DO PORTO GARANTIA” or “INSTITUTO DOS VINHOS DO DOURO E PORTO,” etc. Only true ports from the Douro Valley will deliver the characteristics of authentic Old World port. When should I use ruby port? Rubies are an excellent aperitif, evening sipper, or dessert wine. Its rich flavor profile compliments cheeses beautifully (especially blue cheese and washed-rind cheese). Chocolate is another exceptional pairing with any port, making it an ideal dessert wine. 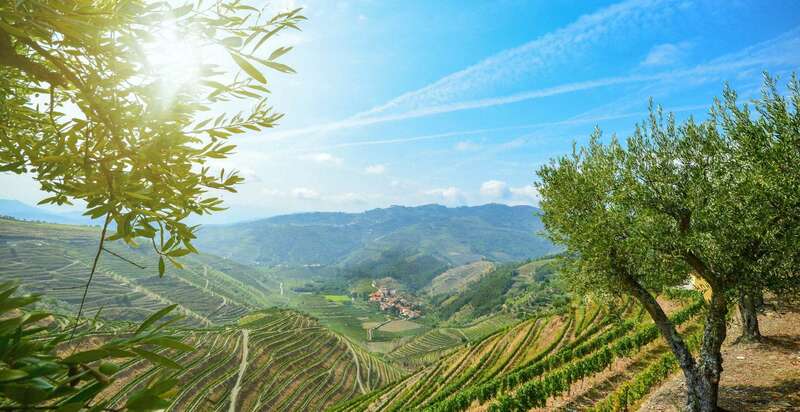 The Douro Valley, located in the northeast of Portugal, is the home of port wines. The meteorological climate of the region is notably bleak compared to other wine growing regions. Extremely hot summers and desolate soil characterized the early Douro Valley. The vine, however, was one of the few plants unphased by the harsh conditions. Settlers went to work building thousands of walls along the mountainsides to hold up what little ground there was. Rainwater was retained in these terraces, where vines and other foliage have transformed the once barren landscape into a lush labyrinth of perfectly symmetrical viticulture. Most of wines originating in the Douro Valley are transported downstream to the city of Porto, where they are aged. This city is where the famous wine gets its name.